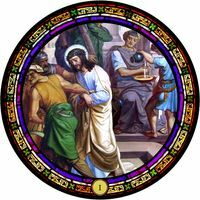 A pyramidal diagram of the Pater, Filius, and Spiritus Sanctus connected to Jesus is illustrated in this dial window, a stained glass depiction of the Father, Son and the Holy Ghost in fascinating design and lovely color. 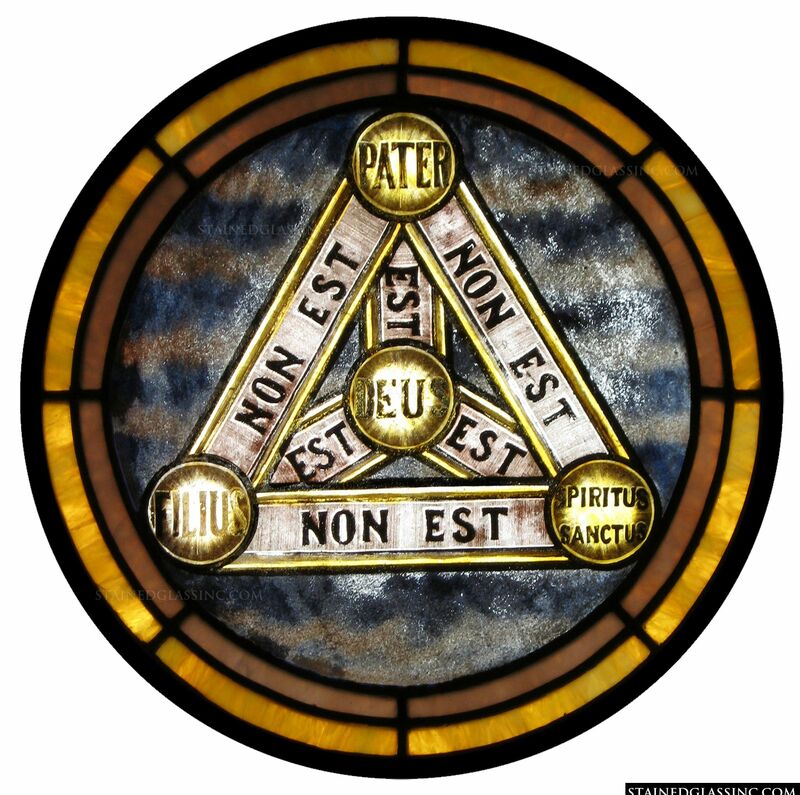 Framed with bands of gold and bronze, this stained glass design is a study in perfect symmetry and detail. 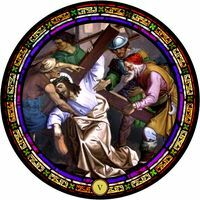 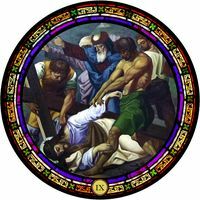 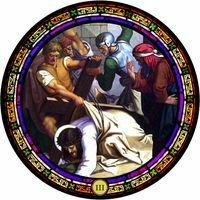 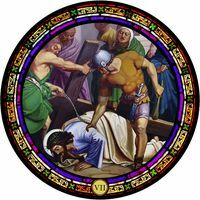 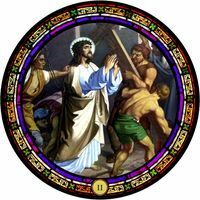 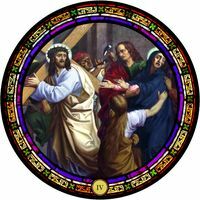 A sacred symbol of the Holy Trinity, this stained glass window is inspiring and uplifting, the ideal enhancement for church, chapel or cathedral. 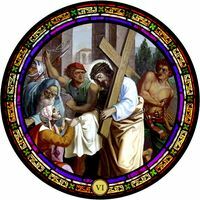 Shot through with rich color and extraordinary detail, this richly textured stained glass design is unique and one of a kind. 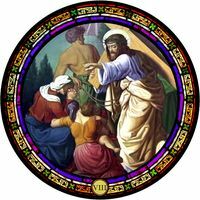 Reflecting and refracting the shifting shades of light as they dance across the surface of this extraordinary stained glass, this work of art is a true treasure, crafted by masters in the studios of Stained Glass, Inc.